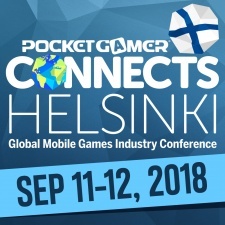 Following on from a great first day of the conference, the second day of Pocket Gamer Connects Helsinki has begun. It’ll once again be packed with key sessions from our roster of top industry speakers. Kicking off proceedings was publisher Round Zero publishing director John Rantala, who discussed the company’s data-driven approach to publishing and game evaluation. In the Growth Track, DeltaDNA chief strategy officer Isaac Roseboom talked about seven post-launch CRM strategies you need to know to maximise revenues. Over on the Blockchain Basics track meanwhile, we had a big keynote from Animoca Brands CEO Robby Yung who is discussing how awareness of the tech is on the rise worldwide, and what part Animoca is playing in it. This is just a taste of what’s to come today from our conference talks. There will be a host of sessions across our various tracks, which include the Indie Track, Growth Track, Esports Academy, Influencer Insight, Game Changers: Cloud and Connected Experiences, Connects X, Blockchain Basics, ICO Insights and Token Trends, Game Maker Sessions and Link to the Future. You can check out the full PGC Helsinki schedule here. As well as our plethora of conference sessions, we’ve also got a number of fringe events. These include the continuation of the Pocket Jam game jam - with the winners announced at the end of the show. Then there’s the Big Indie Zone, PC Indie Pitch, Workshop Zone discussing the fundamentals of pitching, the Alto Challenge winners announcement, Roadshow Pitching Sessions winner reveal and the Very Big Indie Pitch winner announcements. And then there are the numerous business meetings taking place throughout the day through our SpeedMatch system and Pitch & Match. So yeah... there’s a lot going on. Not at the show? We’ll be reporting on the talks as they happen on PocketGamer.biz and BlockchainGamer.biz. You can also keep up with what’s happening on Twitter using the #PGCHelsinki hashtag. We’ll also be filming the talks to publish on YouTube in just a few short weeks following the event’s close. The show may end today, but Pocket Gamer Connects will be back in London on January 21st to 22nd 2019.